The 4th Annual Spokane Health & Fitness Expo is this weekend, Saturday and Sunday, January 5-6 at the Spokane Fair and Expo Center. This is a great way for Spokane to kick off the new year and find ways to reach those health and fitness goals. At this year's Expo, see what's new for 2019, meet fitness experts on Yoga, Zumba, Barre, Strength Training and more. There will be free fitness classes on the Athleta Main Stage (sign up online), Ninja Warrior Obstacles, Aerial Silks, 30' Rock Climbing Wall and more. On Saturday is the Powerlifting competition and CrossFit Tournaments. Roller Derby games on Sunday and Pickleball Tournament all weekend long, and you can meet Ninja Warrior Sandy Zimmerman both days. Admission is $8, kids 6-12 is $5, cash only, good all weekend. For more information, visit SpokaneHealthFitExpo.com or find them on Facebook. ALLWEST Testing & Engineering, located in Hayden, Idaho, has hired Jane Salmons as the company's new Human Resources Manager. Salmons was employed by Trindera Engineering for 11 years, most recently as the firm's Human Resources Director. 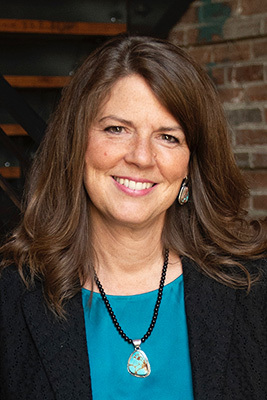 She previously spent more than 14 years at Puget Sound Energy in operations support, with a focus on facility and security management, training and development and human resources. She was raised in Spokane and graduated from Mead High School. Salmons received her bachelor's degree from Ambassador University. She is certified through the Society for Human Resource Management and certified to administer DISC assessments through TTI Success Insights. For more information, visit www.allwesttesting.com. 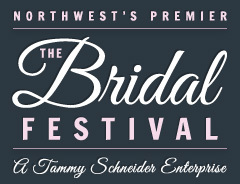 This year's Bridal Festival at the Spokane Convention Center on Saturday, January 12 & Sunday, January 13. This year's event features nearly 200 vendors including wedding gown specialists, caterers, florists, photographers, travel agents, and more. Brides and grooms can meet one-on-one with the industry's top wedding experts. There will be fashion shows, and over $30,000 in prizes and hourly giveaways and much more. 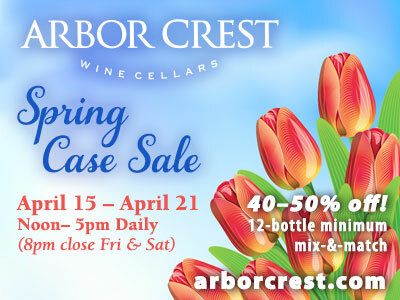 Hours are Saturday 10am-5pm and Sunday 11am-4pm. For additional information, visit the website at bridalfest.com. The 31st Annual Inland Northwest RV Show and Sale is coming to the Spokane Fair and Expo Center Thursday, January 24 through Sunday, January 27. This year's show is sponsored by the Spokesman Review. This is the largest RV show in the Northwest with over 200,000-square-feet of RVs and accessories. This year's show includes six gigantic dealers, 10 buildings packed with RVs including travel trailers to motorhomes. Hundreds of of RV's, brands, styles and accessories to choose from. 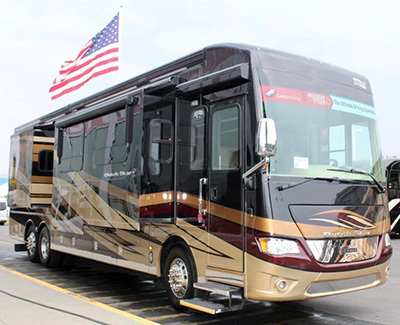 See the Motorhome of the year and the first half Million Dollar RV at the Show (pictured above), which is a Dutch Star by Newmar. Show hours are Thursday noon-8pm, Friday 10am-8pm, Saturday 10am-8pm, and Sunday 10am-4pm. For more information, visit the website, www.spokanervshow.com. How to Really Start a New Business; How to Write a Business Plan; Small Business Marketing and Sales; and Quickbooks Financial Management. Workshops are held in the SBA Training Room at 801 W Riverside, Suite 444. 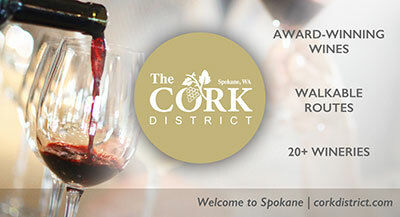 For pricing information and to register, visit spokane.score.org. The last K-Mart in Spokane, at 4110 E Sprague, has been sold to Arizona-based U-Haul. They have purchased 13 total Kmart stores for $65 million, including the east Sprague location. 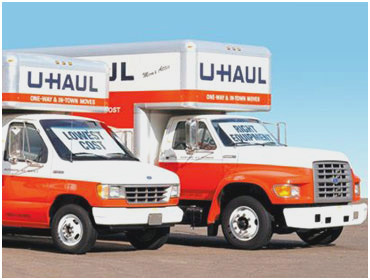 U-Haul plans to convert the store buildings into self-storage complexes with offices to rent and return U-Haul trucks. The 79-room La Quinta Hotel, at 211 S. Division St., formerly the FairBridge Inn, is undergoing a $2.2 million remodel. The project adds 2,500-square-feet to the 37,300-square-foot, four story building, as well as remaking the facade and renovating some interior spaces. 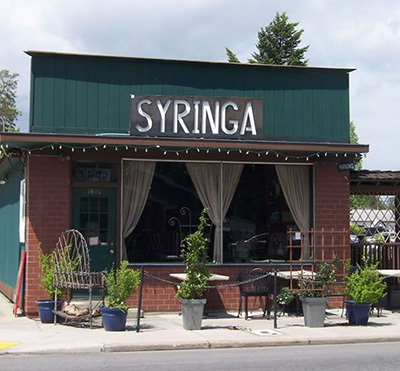 Syringa, the popular Japanese food/sushi restaurant at 1401 N. Fourth street in Coeur d'Alene has moved three blocks north to the former Bistro on Spruce location at 1710 N. Fourth St. Owners Viljo and Autumn Basso, husband-and-wife restaurateurs, opened Syringa in 2006 and it has been a very popular destination ever since. The Bassos also own the Midtown Bluebird restaurant (opened in 2016) and the adjacent White Pine at 814 coffee shop (opened in early 2018. "Cheers to a new year and another chance for us to get it right!"